The Caldera difference is in the details. 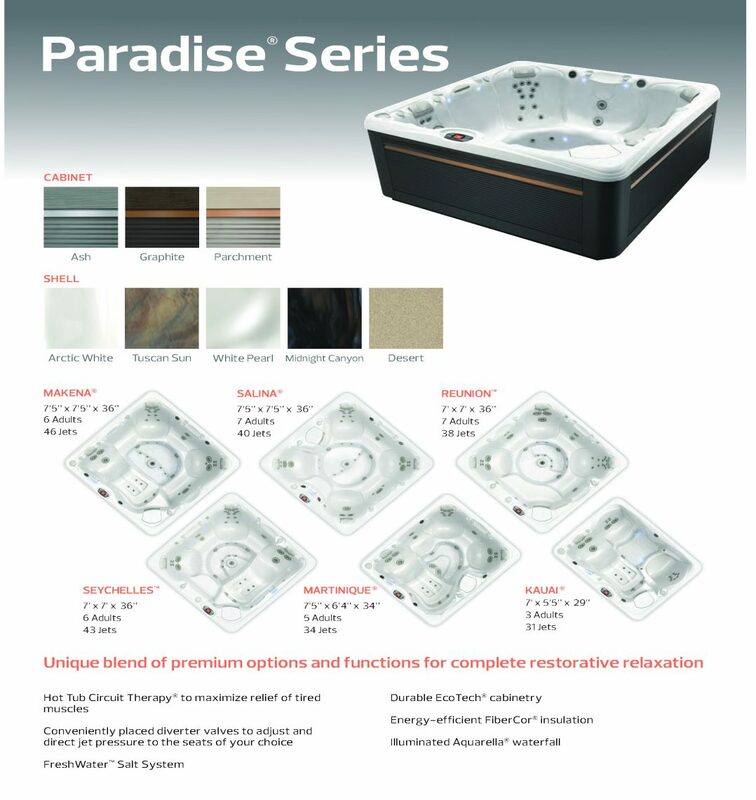 W e believe that once you’ve experienced the Pure Comfort®, design, and performance of your Caldera spa, you’ll want to make it part of your everyday well-being routine. element is intended to soothe and delight. The maintenance-free titanium cartridge is hidden away in the spa and can be replaced in seconds, without tools. 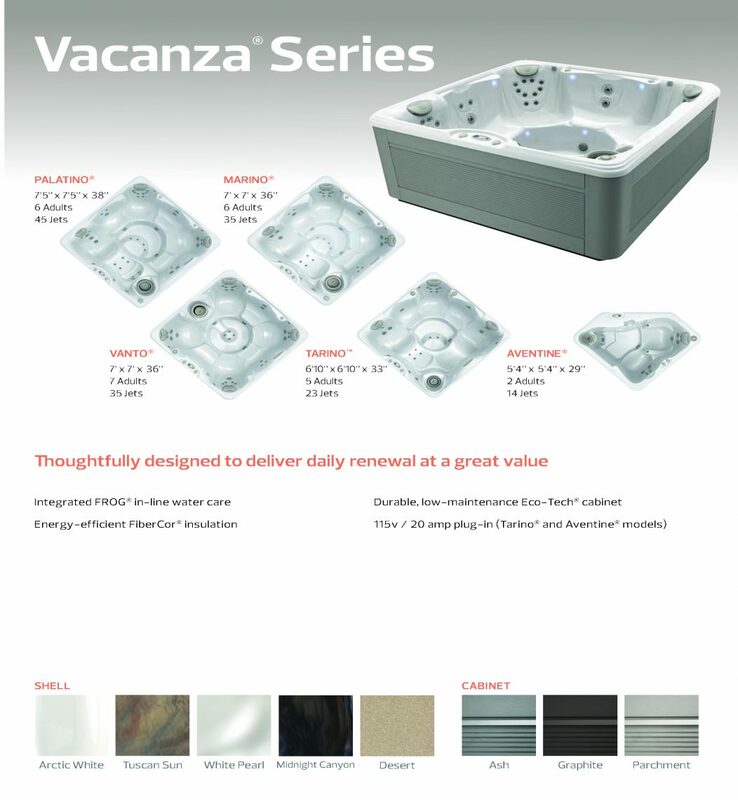 *Many factors impact the life of the hot tub water, such as bather load and water chemistry. When these factors are accounted for and the spa is properly maintained, the FreshWater™ Salt System will keep water clean and clear for a full year. †Available in the U.S. 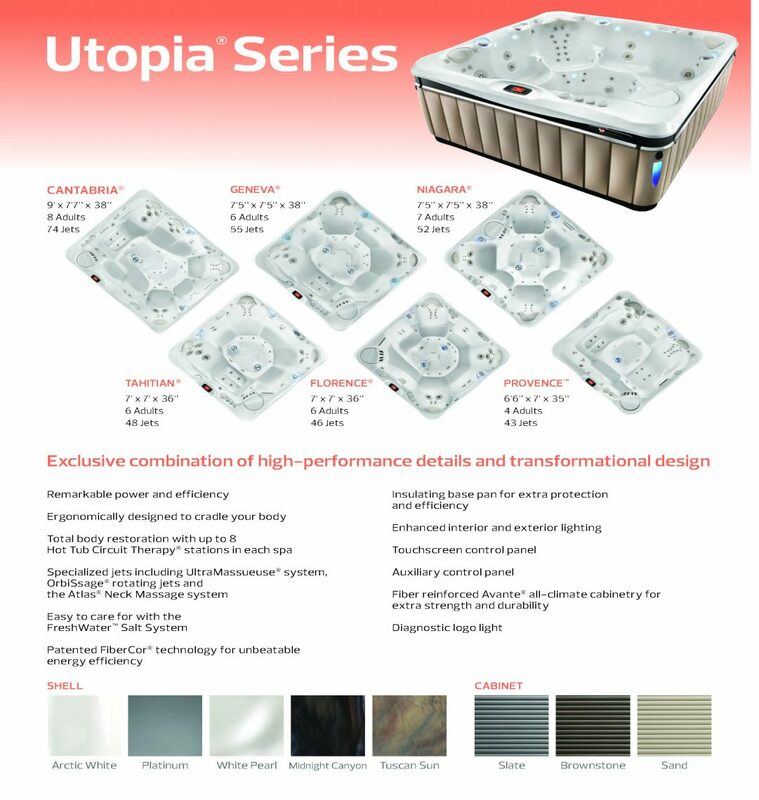 Available on 2019 Utopia® and Paradise® Series Spas.